Let's face it. After the longest, most miserable winter I can remember, our April vacation time was desperately needed and couldn't come soon enough! 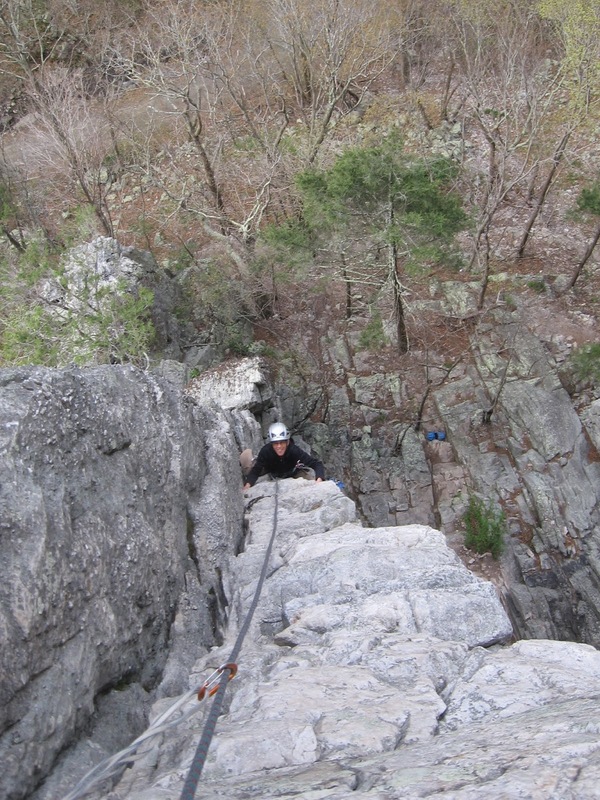 March was a complete bust for climbing outside and although it is not considered a stellar month for outdoor rock climbing, I've always gotten out in March before. With the decision to stay east for climbing this year (no trips west for sun and fun), I anticipated I would feel better once on the wonderful rocks at Seneca in West Virginia. However, Mother Nature did NOT cooperate. As the long range forecast for rain the entire week we were to be in Seneca became more reality, we contemplated a spontaneous decision to head to Red Rock, NV instead. Scrambling for a decent airfare, motel and rental car became the new anguish - as if I wasn't already miserable and stressed enough planning, packing and getting last minute work done! It was going to be expensive and we would get 4 days of guaranteed sunny and hot weather. But really at what cost? Red eye flights, rent-a-car hassles, baggage lugging, Las Vegas traffic and the mental and physical exhaustion resulting from all the the riff-raff. Ultimately, the personal and financial costs seemed too great to warrant 4 days - that would be better spent getting in a full week or more in a truly well-planned fashion. And so it was, our original plans to visit parents and friends and hopefully squeeze in some climbing set sail. The driving was a misery. We needed to be at various places in Pennsylvania and Maryland for visits with parents and a professional course Annie was taking in Baltimore. 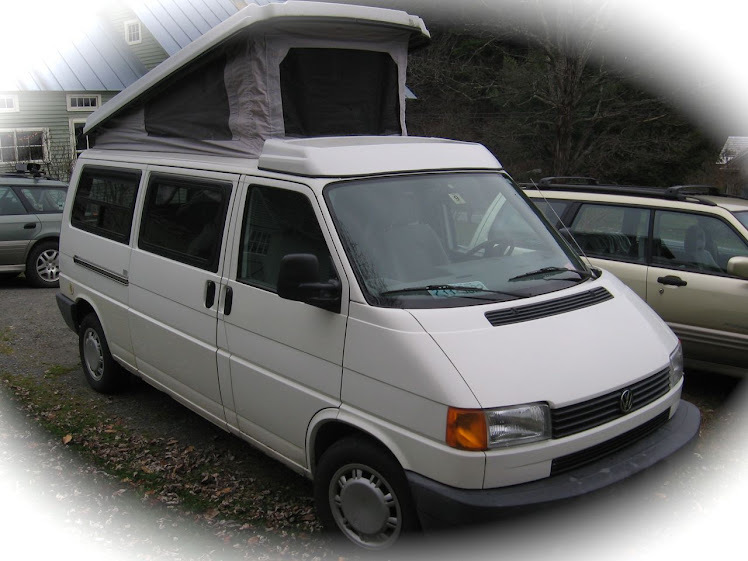 We also had firm plans to be in Seneca Rocks, WV in time for a reunion/dinner party Sunday night. Each day we needed to drive to our destination was beautifully sunny and warm. The forecasts were spot on with the rain beginning our first day in WV and lasting almost all week. The rain was spread about the entire East Coast, so there was nowhere to run. Monday morning we awoke to cloudy skies so we zipped to Seneca as quickly as we could. We were successful beating the rain for 3 quick short single pitch climbs before the drops began to fall. Not a total loss, but a disappointment for sure. I had a nice tick list going for Seneca and couldn't touch it. at the Fort Hill Motel when headed to this area! Tell Sarah that Annie and Jean sent you! We complained some - but then we knew better. Complaining not only wouldn't change the weather but it would keep us trapped in our state of misery. The best thing to do is to make the best of it. And we did. We had a great time meeting new and old friends, spending some quality time with our parents and we were rewarded with a couple of nice weather days at the Gunks en route home. We did make a promise to each other though - NEXT year we book a trip west to climb in the spring. Let the savings begin! 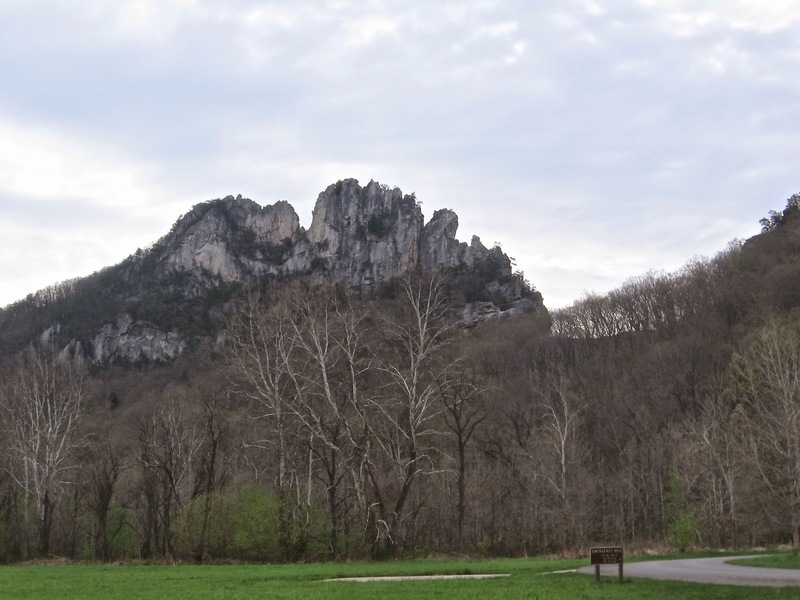 Seneca Rocks. A unique fin of rock known for steep exposed climbing "old-school style"
We got in 3 quick routes ground up before the rain started.